King John of England signed the Magna Carta on June 15, 1215, as an attempt to ensure the continued loyalty of the elite noble class. To ease growing tensions among the nobility, some of whom wanted the King’s head, literally, King John agreed to this list of declarative statements guaranteeing certain rights. 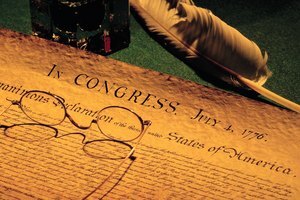 Just as King John’s Magna Carta stated rights of the English, the American founding fathers provided the Bill of Rights, which are the first 10 amendments to the U.S. Constitution, to ensure citizens' protection against a too-powerful national government. Furthermore, the Magna Carta was a clear inspiration for the founders because they included several of its provisions in the Bill of Rights. There was intense debate over whether the U.S. Constitution needed a declarative statement of the rights citizens possessed. 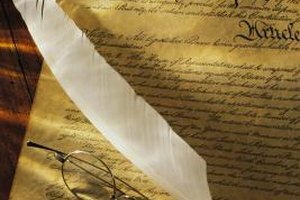 Some thought any powers not mentioned in the Constitution remained in the hands of the people and their states. Others, recalling how the British had changed laws during the colonial period, thought an explicit list of limitations to governmental power necessary. 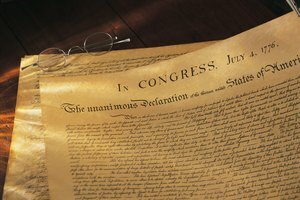 Though this Bill of Rights, passed in 1789, was not part of the original Constitution, Congress had promised to pass it as its first order of business. These amendments include language taken from the Magna Carta. Criminal prosecutions pose a threat to citizens, because conviction usually results in the loss of some, if not all, freedom. King John promised the people in the Magna Carta that he would not abuse his power by imprisoning them unless their peers found the punishment just. 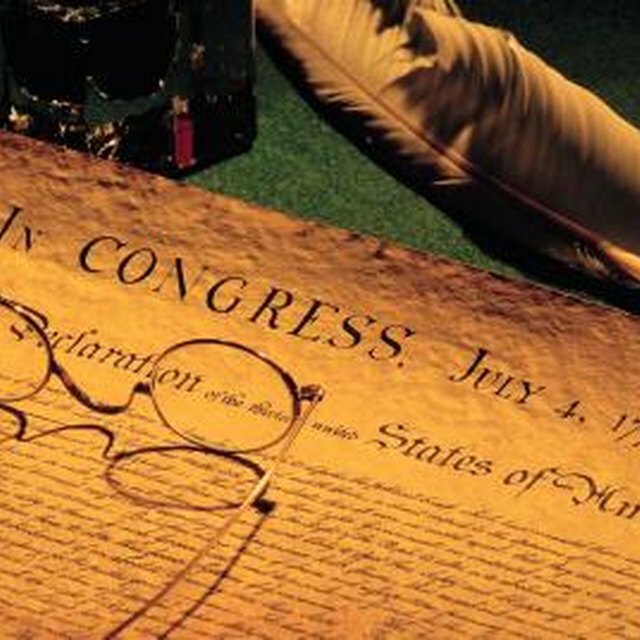 This declaration became part of the American Constitution, as well. The Sixth Amendment ensures American citizens receive a fair trial by jury in all criminal proceedings. This jury must be impartial and made up of fellow citizens living within the same district of the alleged crime. Section 39 of the Magna Carta contains the law of the land provision. King John protected the people from prosecution for crimes, unless done so according to the prevailing law. This provision made arbitrary prosecution illegal. 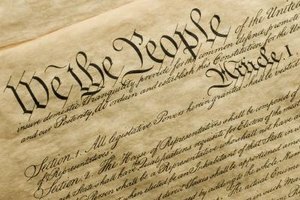 In the Fifth Amendment to the Constitution, the founders incorporated a modern version of the same language. 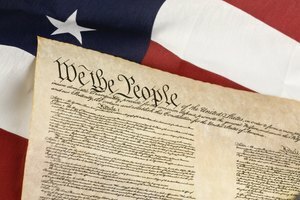 The American Constitution prevents the national government from taking citizens’ “life, liberty or property," except when done according to due process of law. 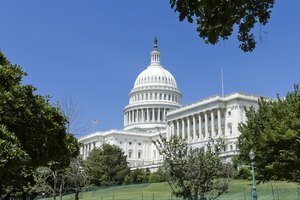 This statement, known as the due process clause, provides Americans with assurance that legal action against them has to follow a familiar and understandable pattern. Magna Carta’s section 20 informed the English that the royalty could not inflict cruel punishment against citizens. The fear was that monarchs would punish people so severely that it would become a means of depriving individuals of freedom. King John agreed that punishment should be in harmony with the gravity of the offense. The Eighth Amendment includes the same principle. Excessive bail amounts and excessive fines are unconstitutional under this amendment. Cruel and Unusual Punishments: David Fellman, Ph.D.
Magna Carta: A Very Short Introduction; Nicholas Vincent, Ph.D.
Encyclopedia of American Civil Liberties: Paul Finkelman, Ph.D.
Kenneth, David. "Describe the Relationship Between England's Magna Carta & the U.S. Constitution." Synonym, https://classroom.synonym.com/describe-relationship-between-englands-magna-carta-us-constitution-5265.html. Accessed 18 April 2019.